Looking to make it easier on your service staff? 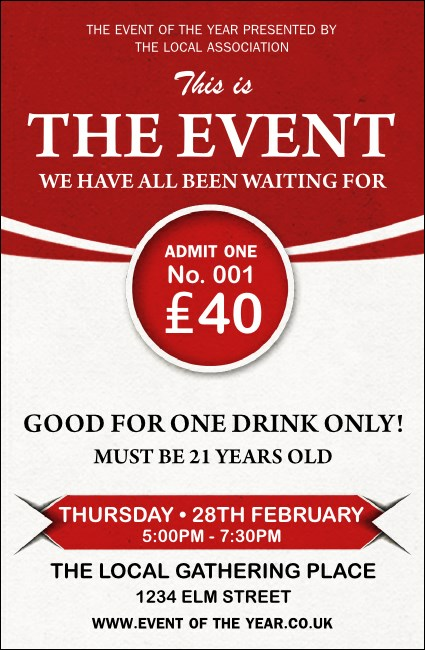 Choose the Red Drink Ticket for your event and help manage the lines. This versatile red and white ticket can be used for a variety of events. List all your event and drink details on the easy template and we'll ship this crimson-themed design your way! From casual to formal, find the right ticket for every occasion at UK Ticket Printing.